made our chicken so tender and juicy! I’ve been making this recipe for years and love it more and more each time I make it. 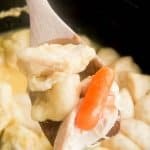 If you like this recipe and want to find even more slow cooker recipes make sure to stop by my slow cooker page under recipes. to make this meal even easier to put together. 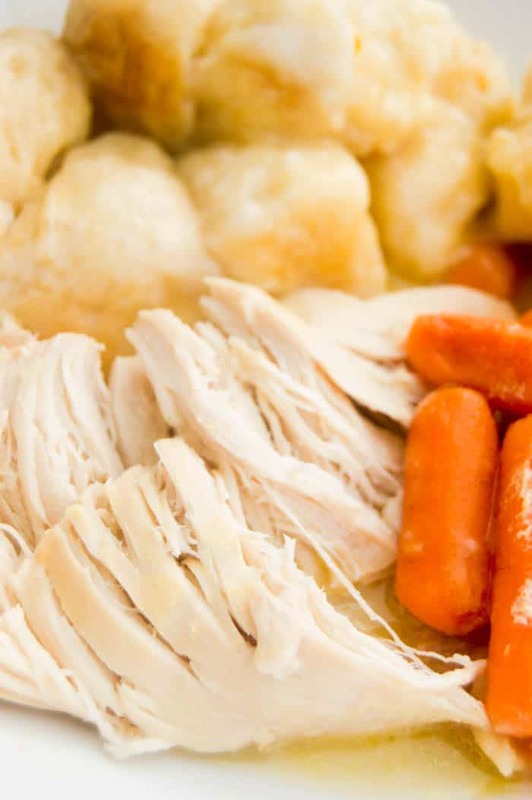 Step one: Add chicken, butter, cream of chicken soup, onion, and carrots into your slow cooker. Pour chicken broth over ingredients. Then allow cooking. Step two: Add torn pieces of refrigerated biscuit dough and allow to cook for 30 more minutes. Serve when chicken and biscuits are fully cooked. 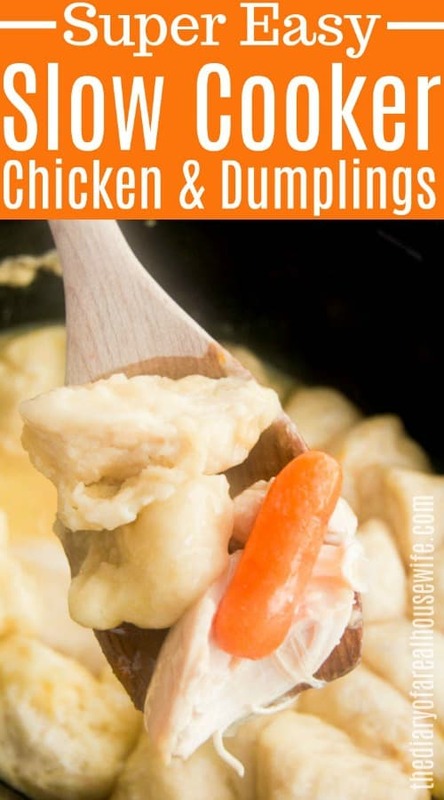 Add chicken, butter, cream of chicken soup, onion, and carrots into your slow cooker. Pour chicken broth over ingredients. Add torn pieces of refrigerated biscuit dough and allow to cook for 30 more minutes. Serve when chicken and biscuits are fully cooked. 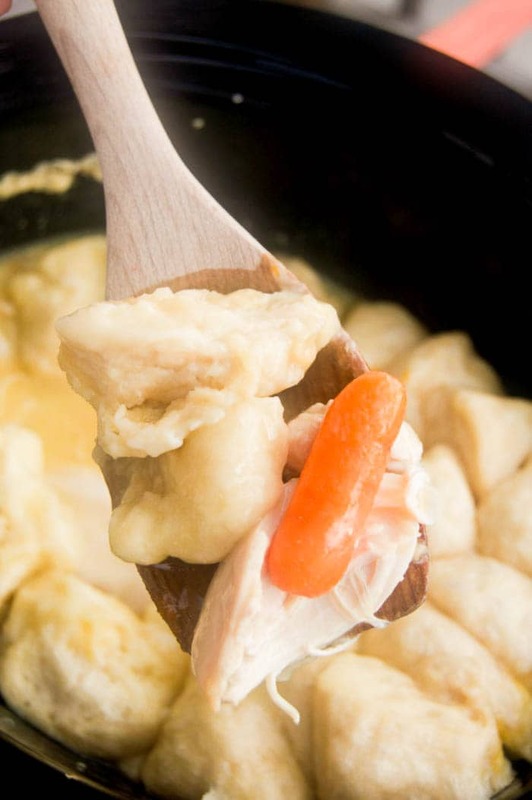 Chicken and Dumplings is one of my favourite comfort foods! I love that this one is made in the slow cooker. 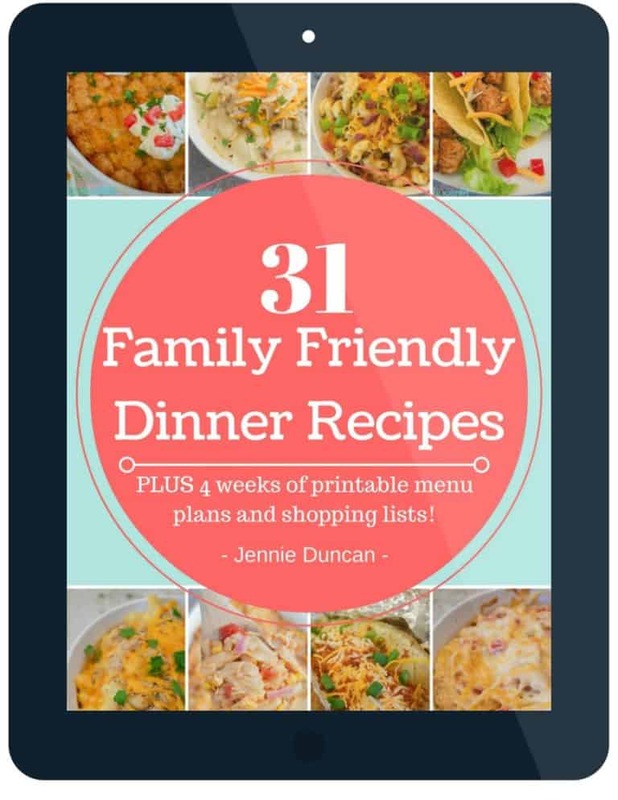 I’m featuring you this week, over at Simple Supper Tuesday. We hope you can join us again, starting Monday night at 8pm EST. Thanks Cindy for the feature!! I’ll be sure to come and see! Thanks Vickie!We love this recipe! Crockpot meals are a family staple at my house! I am defiantly going to have to try this recipe! Yes! 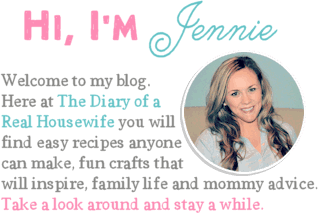 Here too Jennifer we love the crockpot!! Hi! This looks great…but cook on high for 5 hours or low? I’m going to throw everything in with some frozen corn for 8 hours on low…add the biscuits and kick up to high for and hour or more. Thanks for sharing! Hi Leena! So sorry that was missed in this recipe. I cooked it on high for about 5 hours and 7 on low. Enough to get your chicken cooked and tender. I think the 8 hours with the frozen corn on low would be perfect. I hope you enjoy the recipe! !